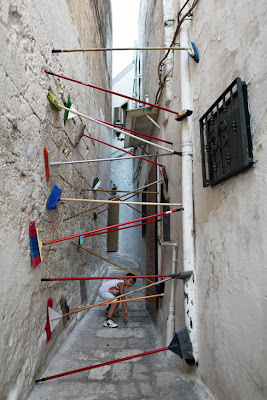 rubinetto.blogspot.com: do the street art, sweep the street art! do the street art, sweep the street art! Often I'm bored with pop street art, too many colors, too figurative painting. So I'm happy when I watch this kind of street art piece, conceptual, ironical. This is my favorite FAME project, here more info about BRAKAY! (a collaboration between Brad Downey and Akay).